EU citizens working in the UK: will the Government listen to employers' wishes? EU citizens working in the UK: will the Government listen to employers’ wishes? At the top of the agenda for Brexit negotiations will be freedom of movement and the status of EU citizens working in the UK. John Charlton reports on how and when these issues are likely to be settled. The issue of whether or not to give EU nationals already working in the UK the right to remain post-Brexit looks like going to the wire as the Government wishes to secure equivalent rights for the two million or so UK citizens resident in EU member states. It seems likely the Government will propose a work visa regime that will be effective post-Brexit as it seeks to cut immigration to the UK. Assuming a visa system will be imposed, it is likely to be skills and demand based bringing it closer to the regime for non-EU migrants. This enables more non-EU immigrants to enter the UK than ones from the EU. For EU, read European Economic Area (EEA), which includes EU states and the half-way in countries, such as Norway and Switzerland. Those EEA/EU nationals wishing to work in the UK who have skills that the economy and employers need will probably be granted work visas. However if the Government wishes to cut EEA/EU immigration then it may put a ceiling on the number of visas granted annually – say 100,000. A 2013 report by the Department of Business Innovation and Skills found migrants took 20% of jobs in highly skilled sectors such as oil and gas extraction, aerospace manufacturing, computer electronic and optical engineering. If the Government wants to cut the demand for skilled migrant workers then the education and training sectors will need to produce more appropriately trained graduates and apprentices. A recent Engineering UK report claimed the number of engineering and technology graduates needs to double to meet demand. After five years in the UK, workers from the EEA/EU may apply for permanent residence status in the UK. Penlington says employers should carry out an audit of their employees’ immigration status to determine which of their employees are currently in the UK as either an EEA national or the family member of an EEA national. “Employers should encourage their EEA national workers and their family members who have been in the UK for at least five years to consider applying for recognition of their permanent residence status. This will ensure they have the right to remain here in the event that freedom of movement for EEA citizens ceases when the UK leaves the EU. There is also huge demand for unskilled and semi-skilled staff in some sectors – such as in agriculture and care homes. The fudge here is likely to be some form of temporary visa. 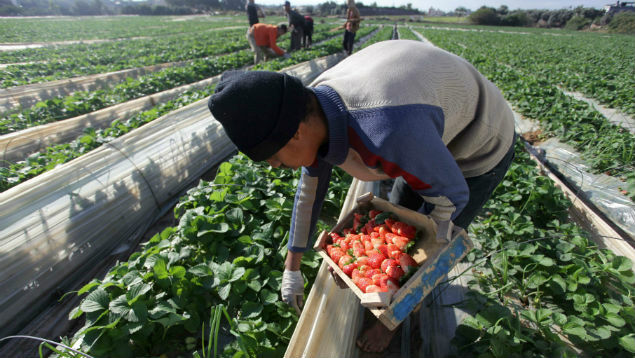 This system was in place before freedom of movement came into operation, for example in fruit picking. The British Growers’ Association, which represents the horticulture industry, estimates 80,000 seasonal workers were employed last year picking flowers and crops, with demand rising to 95,000 by 2019. Few of these were UK nationals. Readers can be sure that various sectors will ask for special status as far as recruiting EU migrant workers goes. Some regions will also ask for regional visas – for example some London businesses have called for a London visa to be introduced post-Brexit. The Scottish Government will also press for special status. It’s hard to see the UK Government implementing a pick and mix worker/visa permit regime as it would make managing it very complex. It is possible that longer-term visas will be based on skills and educational levels of applicants allied to job offers. Visas of a more temporary nature could be offered to EU/EEA migrants undertaking low/unskilled and seasonal work. Meanwhile, employers organisations’ want EU nationals working in the UK to be given the right to remain as soon as possible. For example, in a recent joint open letter to the Prime Minister, the British Chambers of Commerce (BCC) and the TUC called for an end to the “uncertainty for workers and businesses by confirming that the Government will give current EU migrants a right to remain after Brexit”. Umbrella body Universities UK (UUK) wants a guarantee that EU students coming to study in the UK in 2018-19 will have more or less the same status as UK students, including similar access to student loans and paying the same fees. UUK also wants assurances that existing EU staff at UK universities will be able to remain in the UK after Brexit. The body would like the Government to commit to these and other objectives in a clearly defined transition period in the time before and after Brexit. This may be quite tricky. A 2016 House of Lords EU committee report on the process of EU withdrawal, stated “one of the most complex aspects of the negotiations would be deciding which rights would qualify as ‘acquired rights’ and putting in place transitional provisions for individuals and companies whose rights might be phased out over time”. Article 50 of the Treaty of the EU (TEU) does not provide for transitional provisions for EU citizens working in the UK. Their status would stay unchanged until a withdrawal deal comes into effect or, failing that, two years after the UK has told the EU that it intends to quit the union. What issues should employers recruiting staff from the EU and European Economic Area be concerned about? But, warns S&B partner Kerry Garcia: “There is uncertainty for employers who recruit a long time in advance. There is uncertainty that an EU national recruited in, say, 2017, will have the right to work in the UK by the time they are due to start their employment if the UK has left the EU by then. Employers would be well advised to ensure that employment contracts offered to EEA nationals are dependent on them providing evidence of their right to work in the UK at any stage during their employment, says Garcia.